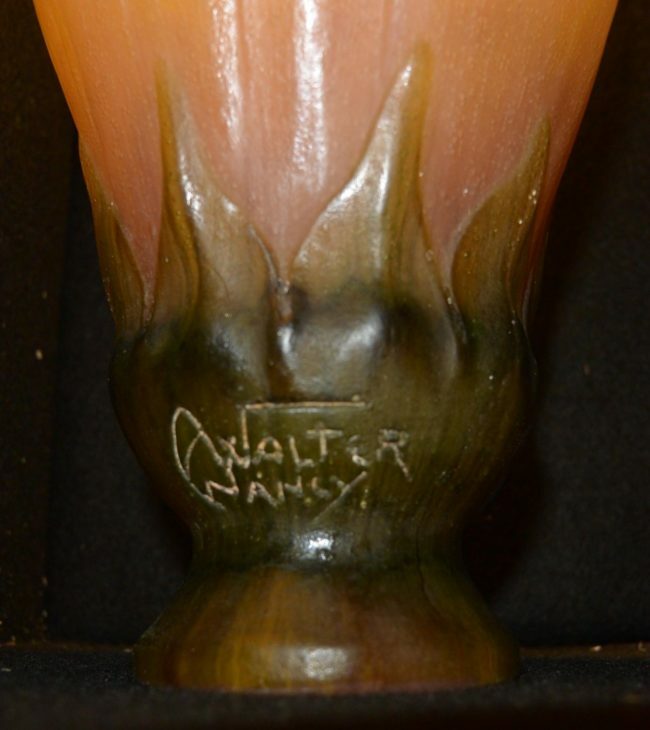 A vase of glass paste, “pâte de verre”, designed by Henri Berge and executed by Amalric Walter. 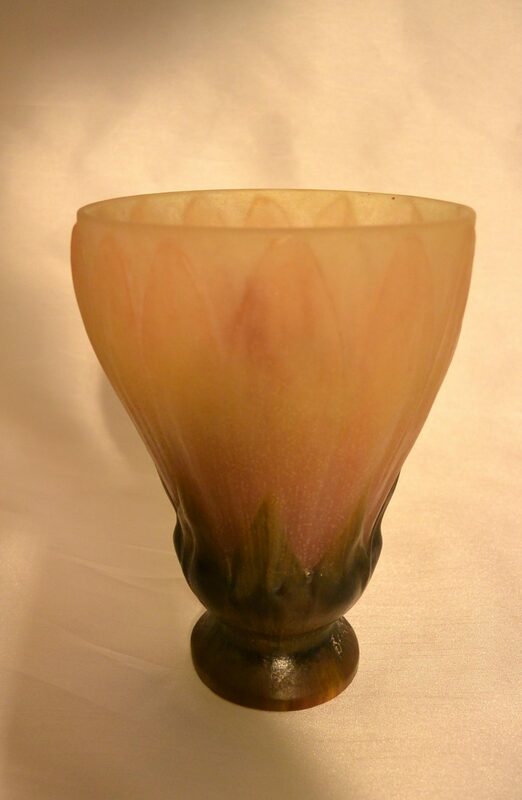 It is representing an open flower of the Lotus with leaves on the side. 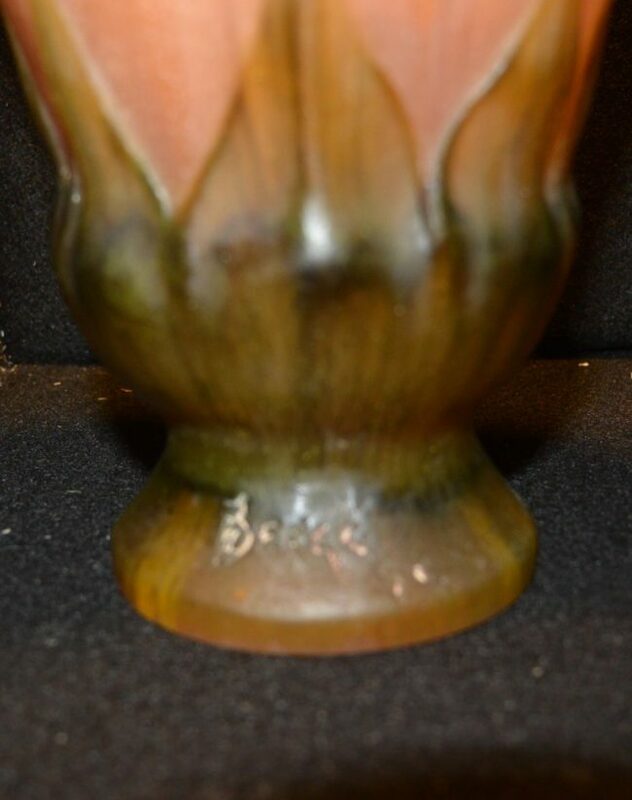 Signed with "A Walter Nancy" and "Berge"
Amalric Walter - Vase "Lotus"